saturday was national dance day! 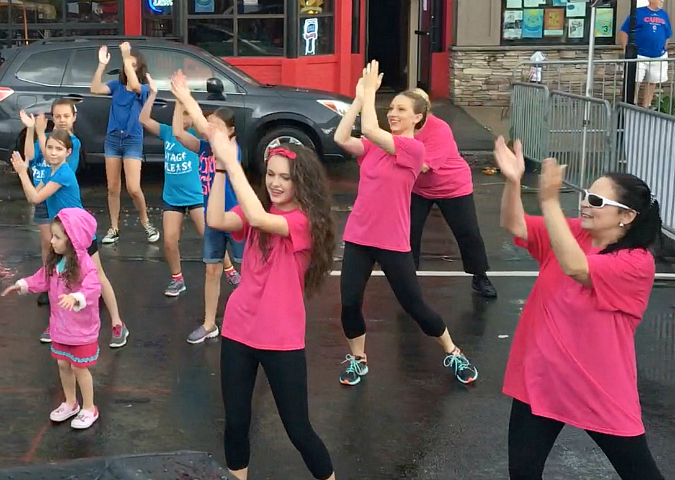 to celebrate, my dance studio partnered with another local dance studio to perform a flash mob! national dance day was launched in 2010 by so you think you can dance co-creator nigel lythgoe. it is an annual celebration that takes place on the last saturday in july. this grassroots campaign encourages americans to embrace dance as a fun and positive way to maintain good health and fight obesity. each year, the dizzy feet foundation creates an instructional dance video for people to learn and perform as part of national dance day. 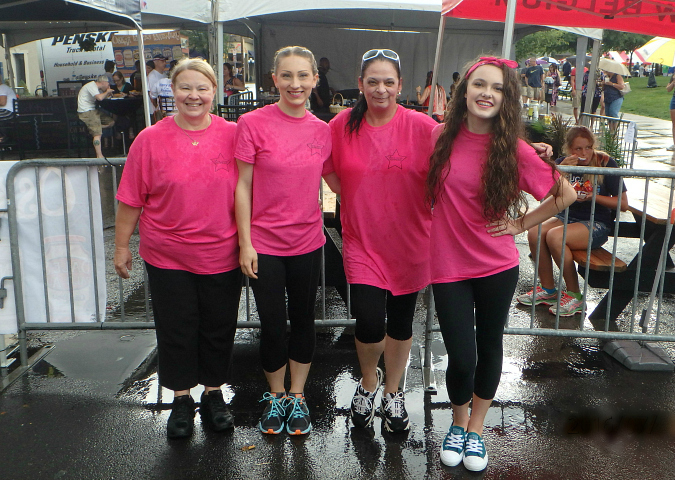 the annual arts on the square festival was being held on saturday at our courthouse square, and the festival was the perfect venue for our flash mob. when we got downtown to the courthouse square, the weather wasn't too bad, but shortly after we got there it started pouring cats and dogs! it just kept raining and raining, it was unbelievable. 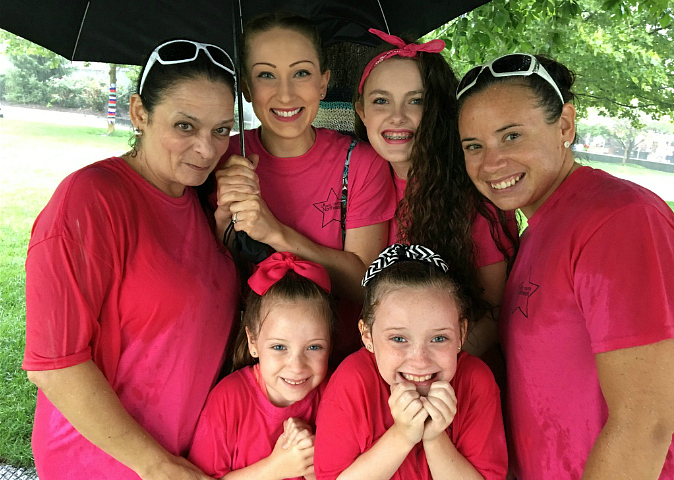 we all huddled together under an umbrella, but we all ended up completely soaked. at one point, there was so much water in the streets that it was up over my ankles! it was like we were standing in the middle of a river. 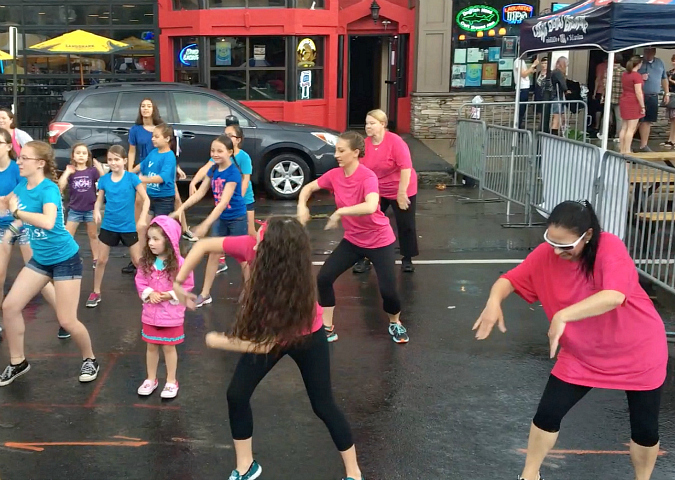 eventually, we caught a little break in the weather between downpours, and we were able to do our flash mob. we really lucked out, because it was one of the only breaks in the rain all day. ryan and my dad captured a few action shots while we were dancing . 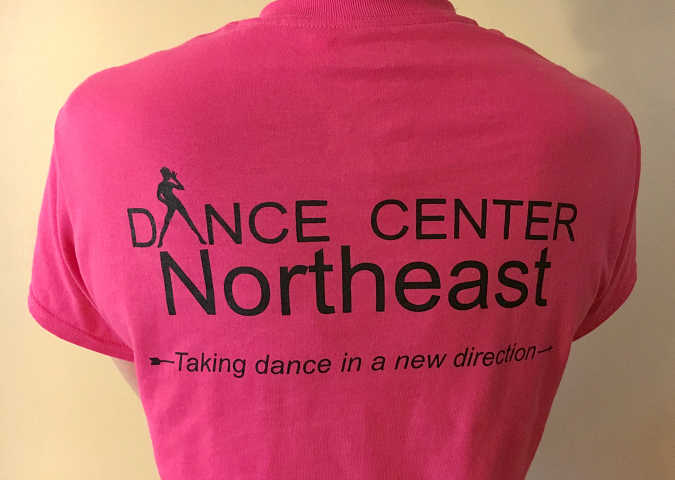 . .
my studio just changed it's name this summer (from dance center west to dance center northeast) and this was our first event with our new studio name. so, we got new t-shirts. i was thrilled to be able to design the logo for the new name and to design the t-shirts. it's a little hard to see in the other photos, but the front of the shirt has the studio logo inside of a star. (you can sort of see the star in the very first picture.) i think they turned out great! you can see a few more photos from our national dance day event on my dance studio's facebook page (here) and ryan also filmed a video of the flash mob which you can watch on my dance studio's you tube channel (here). Great pictures. That was fun, even in the rain. We were singing and dancing in the rain.